Kingman Historic Theatre: 42 will be showing this weekend at the Kingman Historic Theatre! 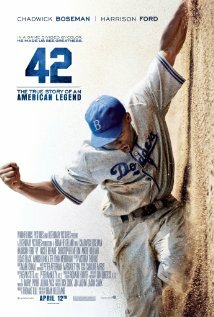 42 will be showing this weekend at the Kingman Historic Theatre! This weekend the Kingman Historic Theatre will be showing 42 at 7:30 P.M. on Friday, June 7 and Saturday, June 8 and at 5:00 P.M. on Sunday, June 9. This movie is rated PG-13 and stars Chadwick Boseman, Harrison Ford, and Nicole Beharie.